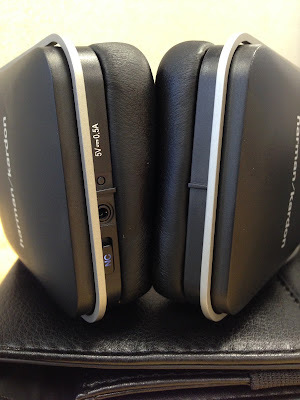 About 8 years ago, I had a pair of the Bose QuietComfort 2 Headphones. This was a long time ago (proof here in a review from CNET). At the time, I didn't think you could get much better with headphones. Also, at the time, $300 was a lot of money to me. After having them for about 6 months, I finally parted with them for some sweet, sweet cash to keep my bachelor life afloat. 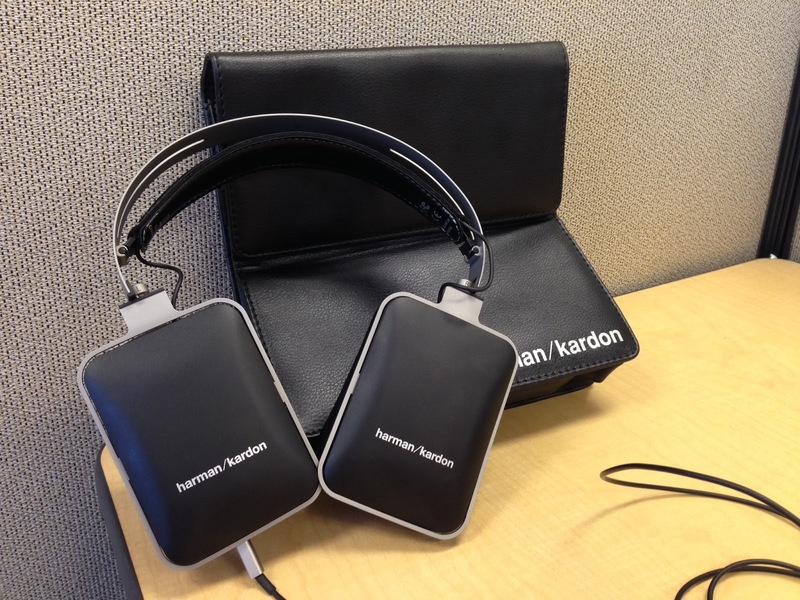 Fast-Forward, and today I pretty much use my go-to Sony MDR-V6 Headphones. You know the ones - great big over-the-ear cans that pretty much sound amazing, especially considering the price (which fluctuates based on what seems like the season). I've had these for the past 3 years and absolutely love them. (See a review from our brothers over at Electric Mustache here). I work in a 9-5 office. It's quiet, so the Sony's do me well...but sometimes you have that co-worker who just won't stop talking...and you want some peace and quiet. 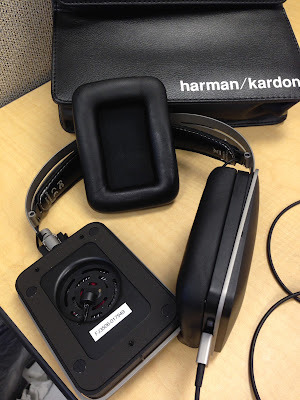 I've been evaluating the Harman|Kardon NC headphones as of late. NC. Noise Cancelling. That's it. Simple nomenclature to be sure, and to the point. These will cancel the crap out of that ambient noise around you. Summer-time locusts keeping your outdoor quiet down? 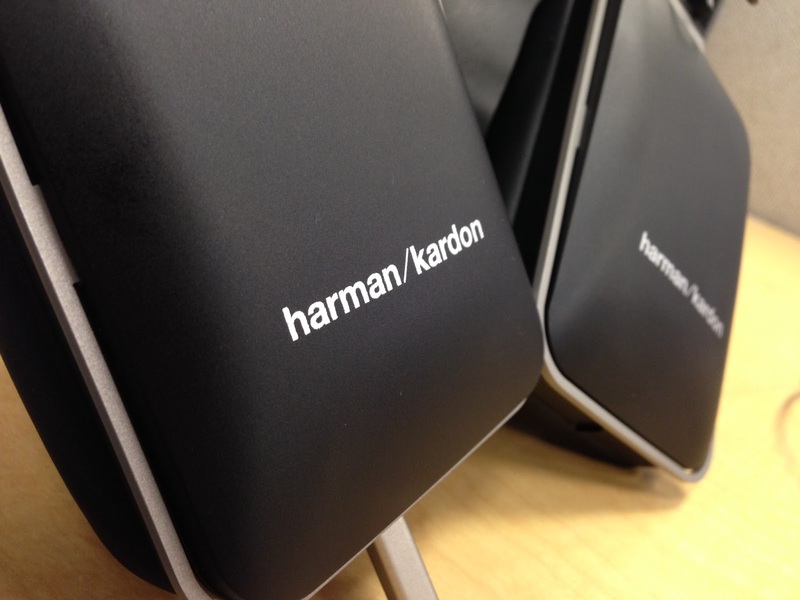 Well drown them out with the new Harman|Kardon NC headphones. I mentioned the Bose QC2's above cause these are in the same price range ($299 MSRP), carry a similar clout (Harman|Kardon are known for their speaker sound) and, well they are both noise-cancelling. And do they work? I will tell you, with pride, they work as good or better than the Bose. Again, I'm comparing a current headphone versus a 10-year old QC2, and also using my memory instead of an actual side-by-side-comparison. But for the past week, gone are the annoying conversations from co-workers, GONE is the engine noise, and crying babies on the plane to your next destination. With a quick slide of the switch, you're enveloped in anti-sound, that shuts out ambient noise, ear echo (that sound you get when you plug your ears and can hear your voice, and sounds reverberating in your head) and you can only hear your audio source. Plug it into an iPhone, iPod, iPad, laptop, any old thing, and this will pump clear sound into your eardrums that cover the spectrum of sound. But what happens if that battery dies? If it was 10 years ago, and I was still rockin' my Bose QC2's - I'd lose all functionality. There was no passive mode that would still pump music, and just shut off the NC feature. Well, I'm happy to report, that with the HK|NC, they have a passive mode, that when you shut off the NC feature (of if the internal battery dies) you'll still get pristine, clear music that fills your ears. 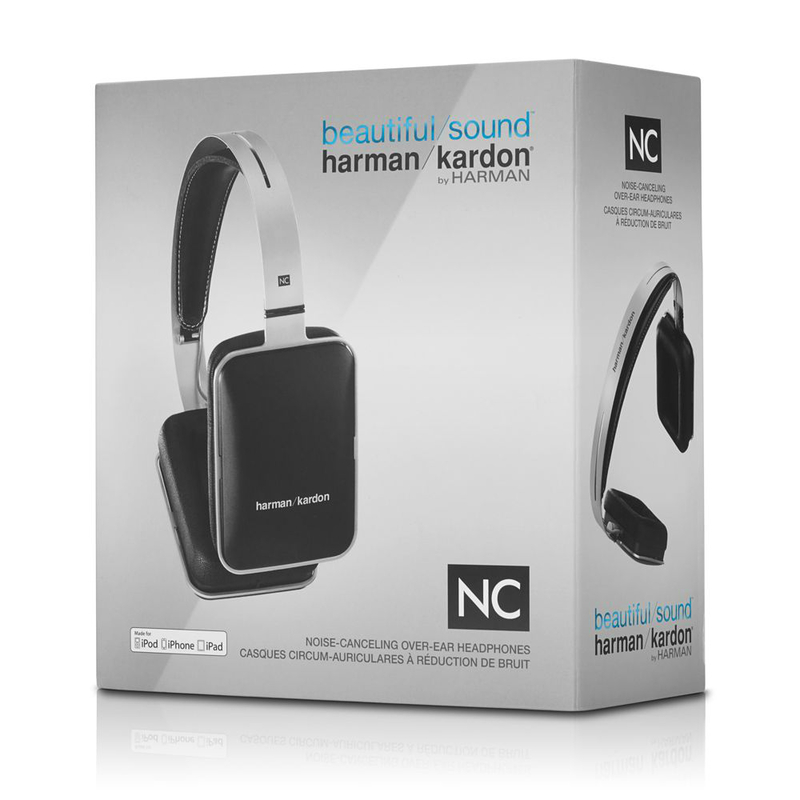 Mashbuttons.com would give the Harman Kardon NC's an "Excellent" and "Would Buy" rating.